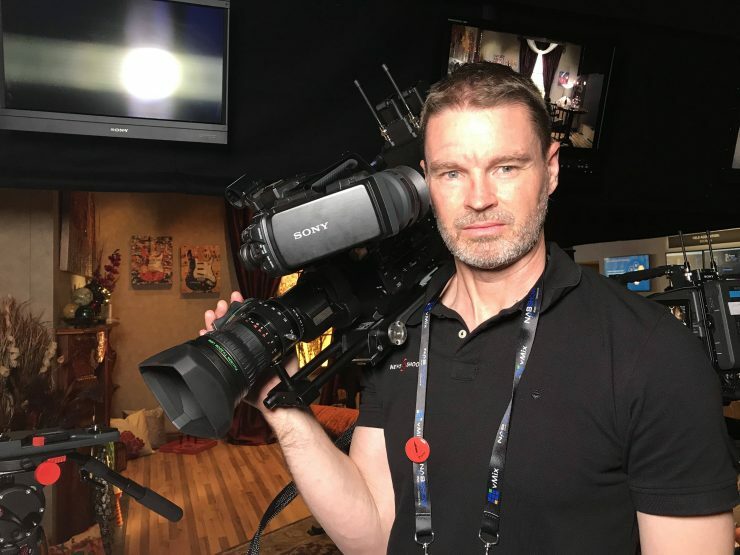 Sony has just announced the CBK-FS7BK ENG Style Build-up Kit for the FS7/FS7II cameras at NAB 2019. 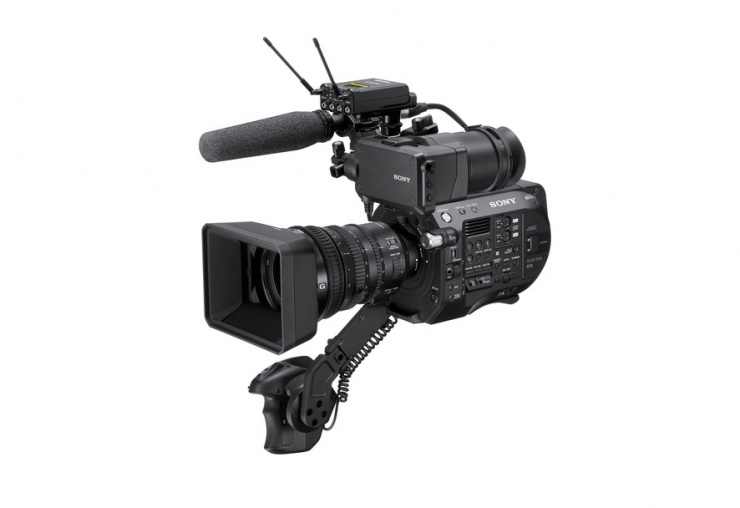 The CBK-FS7BK ENG Style Build-up Kit has been designed to turn the FS7/FS7II into more of a production camera. 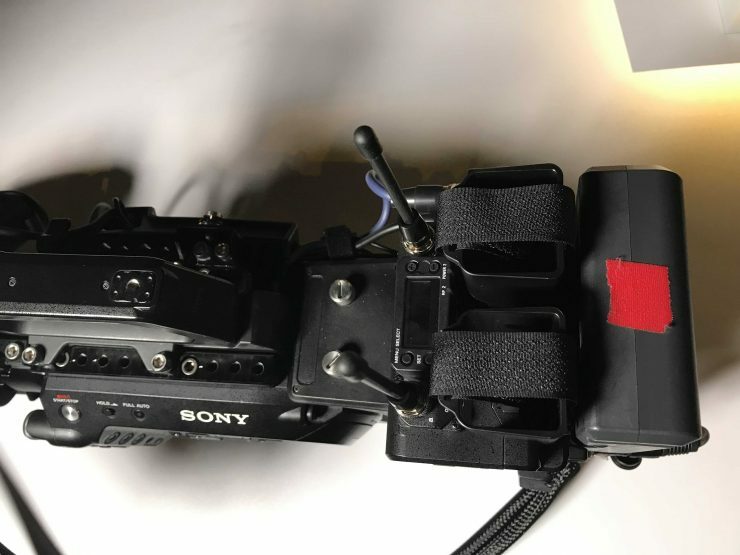 The kit lets you add built-in wireless audio and network capability for news production via a two-channel wireless audio slot-in receiver similar to those that are found on traditional ENG cameras. It’s interesting to see that the CBK-FS7BK interface adds genlock/timecode and the RAW output. 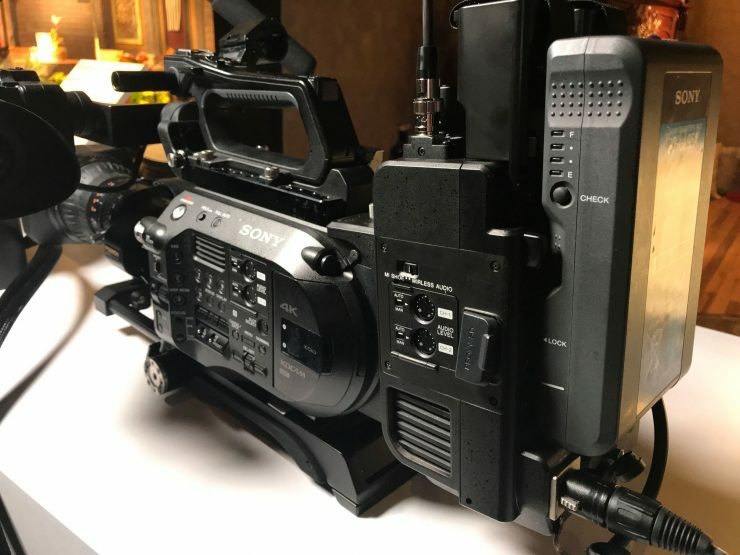 So essentially the CBK-FS7BK is the Sony XDCA-FS7 Extension Unit with a two-channel wireless audio drop-in slot, a shoulder mount and a few other streaming add ons. 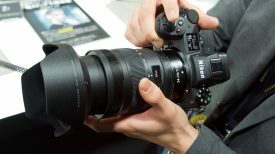 The kit includes a new ENG Viewfinder that looks very similar to those found on a lot of the current XDCAM ENG cameras. How is it to use? The kit certainly balances well on the shoulder and anyone who is familiar with using an ENG camera will be right at home. 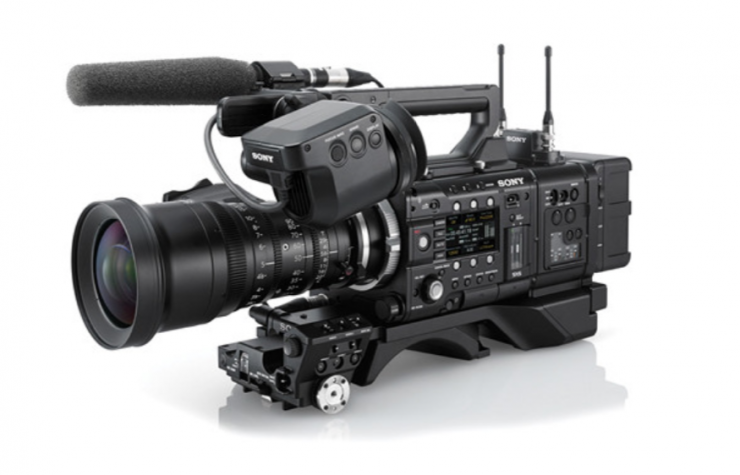 The Sony XDCA-FS7 Extension Unit alone costs $1,998.00 USD. 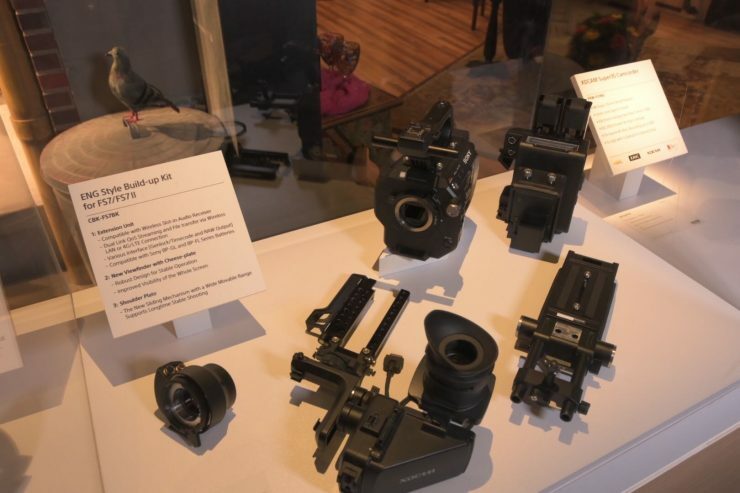 Back in 2014, Sony announced a similar product for the F5/F55 called the CBK-55BK build-up kit, that transformed the PMW-F55 and PMW–F5 CineAlta cameras into a more traditional ENG style camera rig. I’m not sure how popular these actually were (I have never actually seen one being used), especially given the original asking price of $7,999.99 USD. 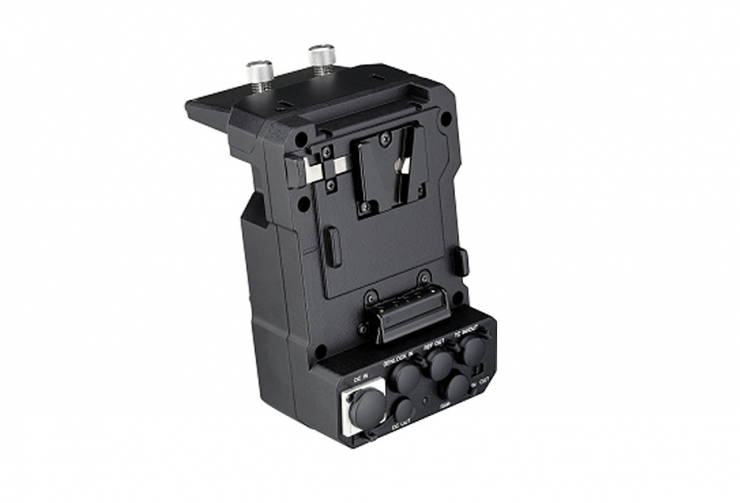 You can now buy that same CBK-55BK kit for $4,995 USD. 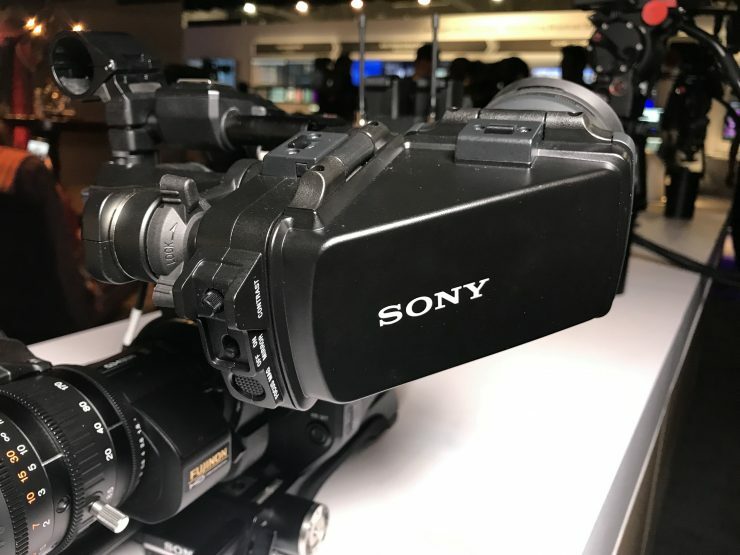 I’m not quite sure why Sony has waited until 2019 to announce the CBK-FS7BK given the fact that the FS7 has been around since 2014, and the FS7II since 2016. 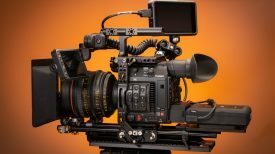 Yes, both cameras were, and still are, good sellers for Sony, but most people who own FS7and FS7II cameras would have already bought shoulder rig and audio solutions. 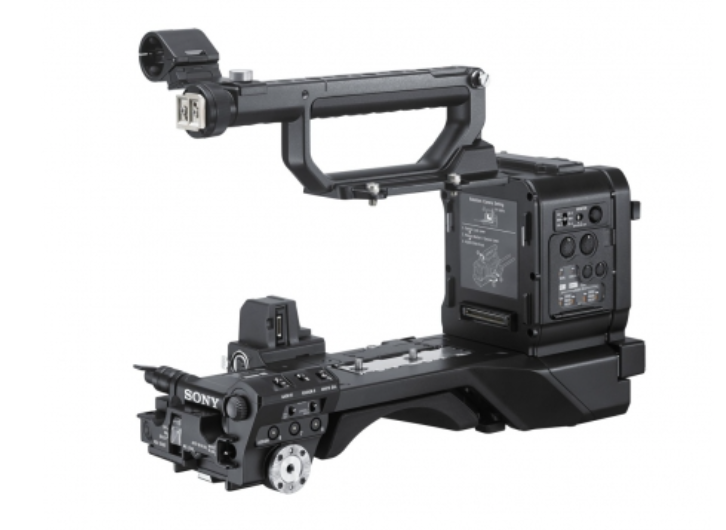 While I like the concept of the CBK-FS7BK I just cannot understand the rationale behind launching this product now. 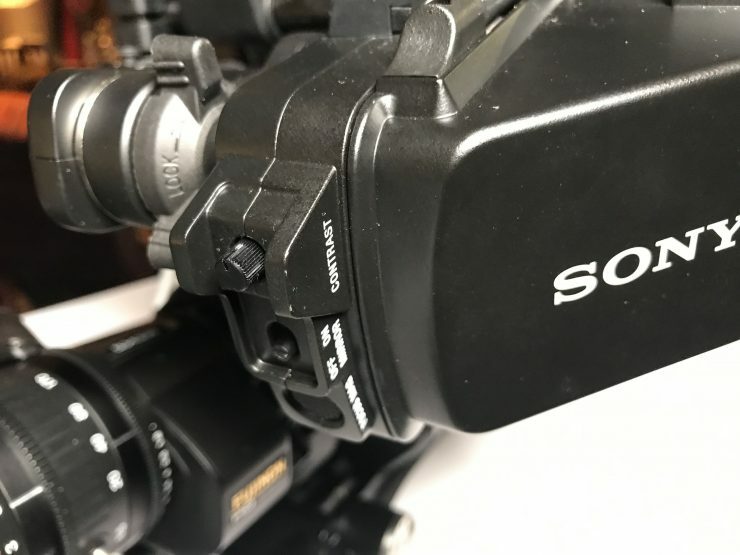 At least in Sony’s defense, it still looks like they are still supporting the FS7 and FS7II and don’t have any immediate plans to bring out a replacement. 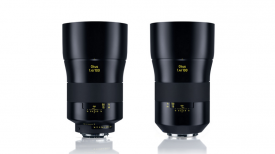 The other strange thing about this announcement is that the CBK-FS7BK won’t be available till December this year, for €6,500. This is a lot of money to pay, considering a brand new FS7M2 costs $8,998.00 USD. 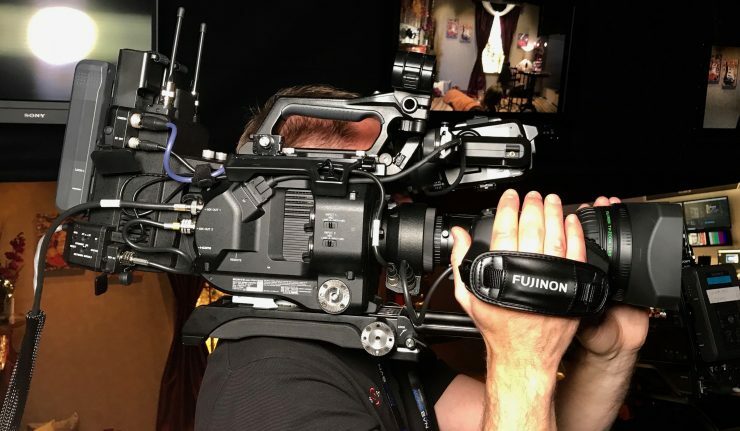 Do you own a FS7 or FS7II? Would you buy the CBK-FS7BK? What do you think about it? Let us know in the comments section below.